The Great British Bioscience Festival has been taking place in Museum Gardens, Bethnal Green, and continues today until 3pm. 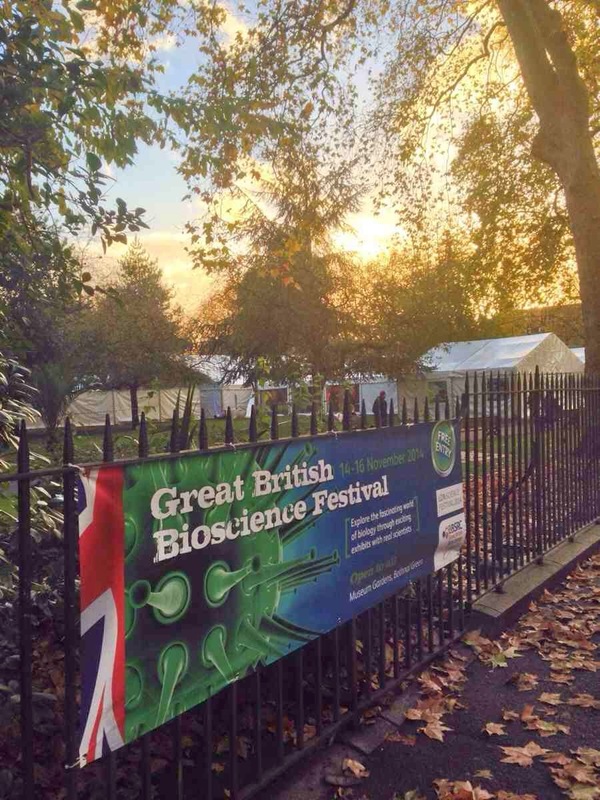 The free festival explores the world of biology via interactive science exhibits and the chance to talk to scientists. The festival is part of the 20th birthday celebrations of the Biotechnology and Biological Sciences Research Council and, we are told, features glow in the dark seeds, a virtual farm and a human gut you can walk through.